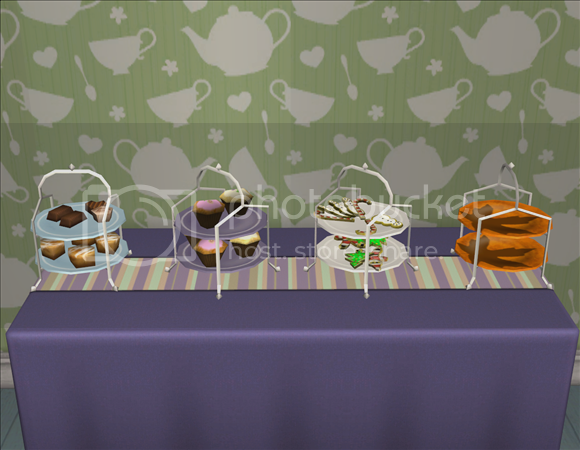 I know there are a lot of tea sets out there but I wanted to make use of the FT setting just for the sake of maxis matching, and the Wonderland set was in need of some cakes. Most of these were actually made back in December so I had a hell of a time figuring out what was slaved to what. I've had a great time decorating cafés and birthday parties so I hope you guys enjoy these as much as I have. 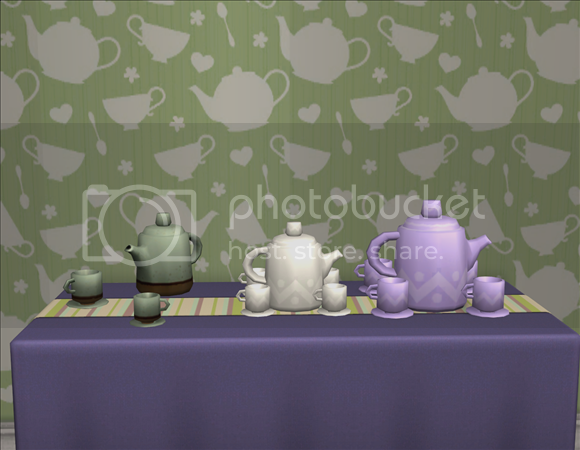 Free Time required, all the textures are linked to the craftable plate and tea set so they come in all the original colours as well as a bunch of ghastly pastels. Enjoy! The purple is the original crafted size and the cup comes in both sizes. 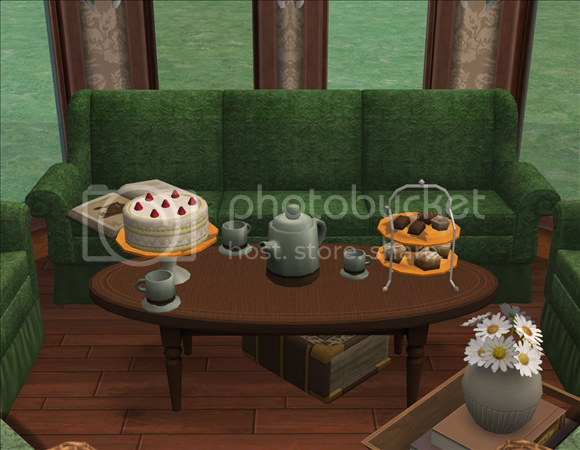 Sims should be able to grab food if you've used an OMSP to place it on the empty cake platter. 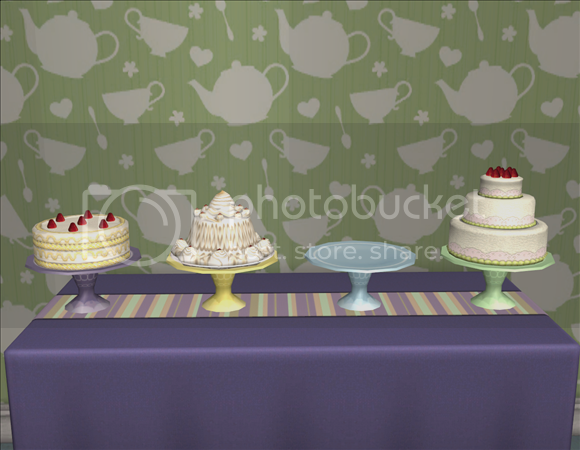 The cakes are cobbled together from Celebration stuff and various TS3 sets, but the only the cake tier requires the Edwardian cakestand from this set. I've included a separate download below. My pleasure, i seem to have the same problem. Thank you so much, love this set! :D Glad you like them, hope they come in handy for your café! Oh wow, those look just awesome! all your stuff makes me sad that I cannot play Sims 2 on my laptop :( The pictures also make me really hungry. The little chocolates with cupcakes on the bottom are my fav of the set. Thank you. I'm so sorry to hear you can't run the game, my heart goes out to you! I'd give you cupcakes if I could. What OMSP should be used to place the food?